Students will explore the diffraction pattern produced by diffraction gratings and then determine the width of a human hair. 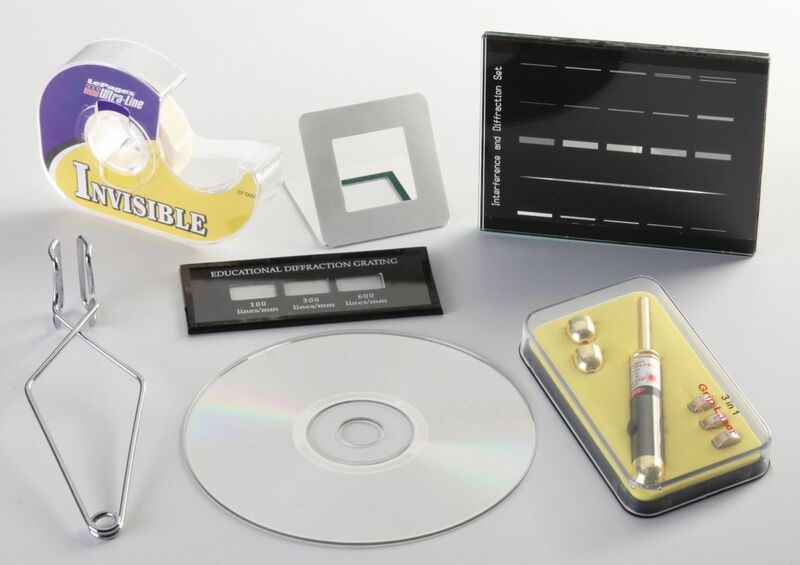 By using a diffraction grating of known spacing, students will verify the wavelength of a laser pointer and use this to determine the spacing between the lines of a CD. 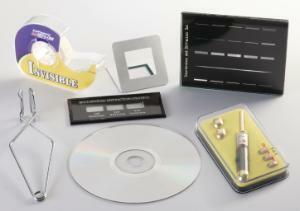 The kit includes a laser pointer, slit film, diffraction grating with three spacing, scrap CD, and a blank slide mount. Required but not included are support stands and a meter stick. The dual red/green laser pointer is a recommended accessory for this lab.